NUREMBERG, Germany, March 14, 2017 /PRNewswire/ - Crank Software, an innovator in embedded user interface (UI) solutions, today announced the latest release of its turnkey UI development software, Storyboard Suite. With Storyboard Suite 5.0, teams can create and refine beautiful, high-performance user interfaces for embedded applications in a fraction of the time required by traditional development methodologies—without compromising on design aesthetics or user experience. Meet the new Storyboard. Learn more about the features and enhancements we've added to make it easier than ever to design, develop, test, and refine beautiful embedded UIs. Using Storyboard Suite, graphic designers and engineers are equally supported with innovative features and an intuitive workflow that allow them to work in parallel to deliver UIs that are modern, scalable, and optimized for embedded products. Storyboard, while being powerful enough to create high-end, sophisticated UIs, is also easy to learn and use without requiring hardware decisions to be made up front. Teams can be productive from the start of a project through to final delivery, save valuable resources and costs, and deliver thoughtful user experiences in less time. "The key to building a great embedded user interface is keeping a tight focus on design and user experience, in addition to application performance," said Brian Edmond, President, Crank Software. "Traditional development methodologies leave designers on the sideline after the artwork has been handed off to the software developers. This linear process can negatively impact schedules while leading to a UI that isn't a true reflection of the design vision and is difficult to update. Storyboard Suite 5.0 continues to give designers and developers the tools they need to work collaboratively and iterate the UI until it's just right." 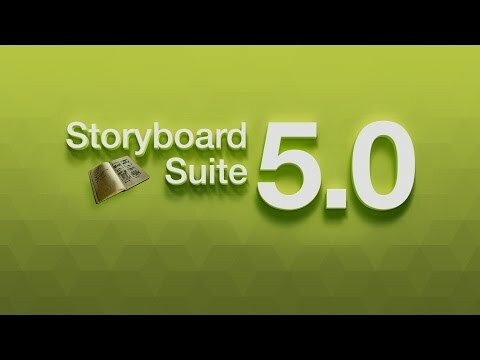 Storyboard Suite 5.0 delivers enhancements that empower designers to retain control over the look and feel of the UI throughout the development lifecycle, enhance team collaboration and design iteration, and help customers create optimized high-performance applications. We will be demoing Storyboard Suite 5.0 at Embedded World 2017, Hall 4 / Booth 4-270, March 14-16, 2017. Crank Software is an innovator in embedded user interface (UI) solutions, reducing the time, costs, and headaches that notoriously come hand-in-hand with UI development by letting designers and engineers work side-by-side. Crank products manage the UI lifecycle from design to deployment. Teams can use the software to develop, prototype, and refine the UI until it's perfect – both in function and in design – and then deploy the UI for the final product. With a shorter development time and a more collaborative process, products get to market first with a higher ROI and a remarkable UI that builds brand loyalty. Follow Crank Software Inc. on Twitter and YouTube.